Just in time for the summer BBQ season, Heinz has wisely launched a yellow mustard line. 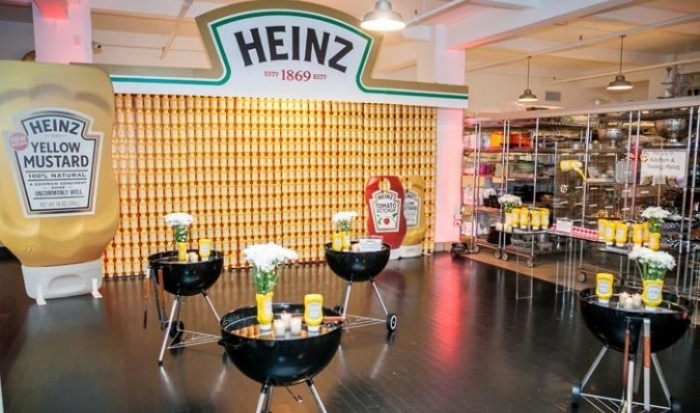 It was launched at a BBQ-themed event dubbed “Ketchup’s Got A New Mustard”, which gets top marks from us for event design. 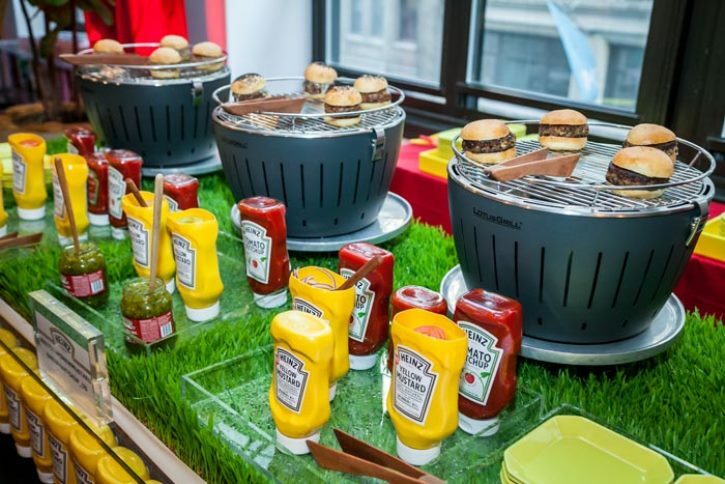 In line with the BBQ theme, classic red-and-white chequered picnic blankets, faux grass, and charcoal grills serving as cocktail tables were placed throughout the pop-up venue in New York. And the new product’s branding was extremely visible, of course. The actual mustard bottle was integrated into nearly every decor element of the event, from stacks of bottles as a backdrop for photos to empty bottles used as flower vases. 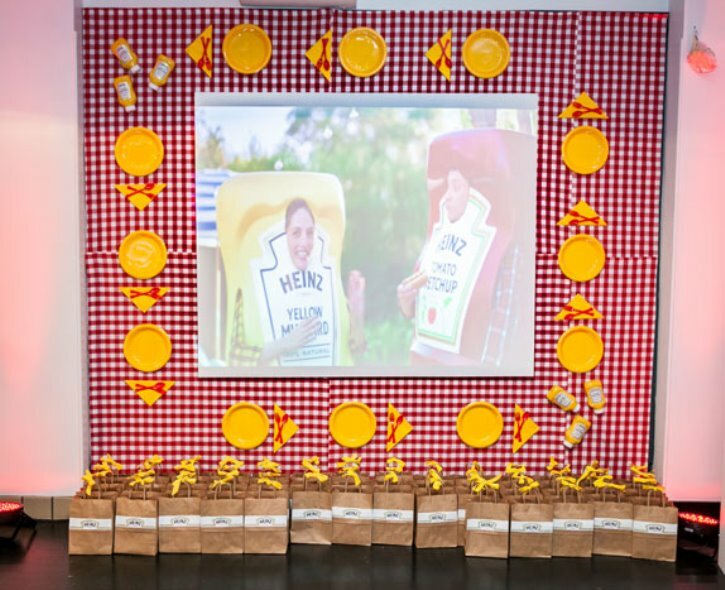 Guests could pose with oversize bottles of ketchup and mustard in front of a wall comprising hundreds of bottles of yellow mustard. 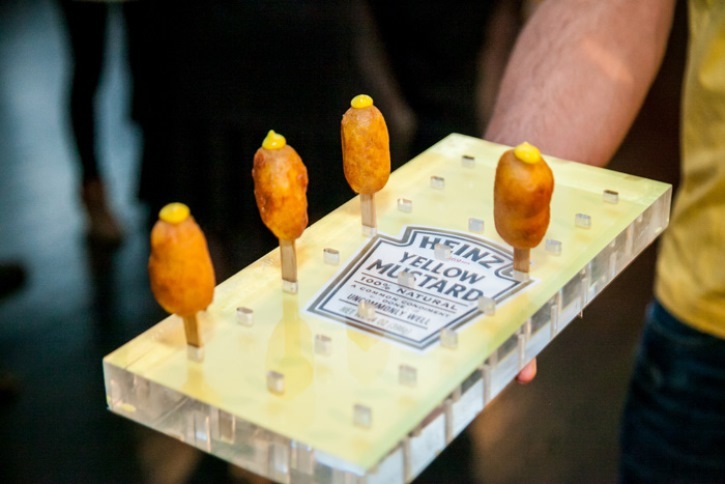 And the catering tray for the mustard-topped corn dogs incorporated the label of Heinz's new yellow mustard. 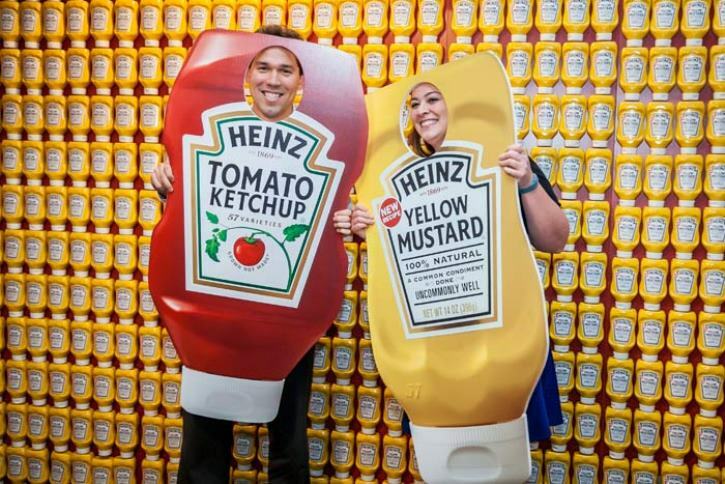 The experiential campaign also served as a launch of the product’s upcoming advert which is also set at a garden BBQ and features a guy dressed as a Heinz ketchup bottle “breaking up” with his former favourite mustard to start a relationship with a new Heinz “squeeze”. A summer picnic-like vignette surrounded a screen that displayed this commercial, and gift bags with a bottle of Heinz ketchup and two bottles of mustard, one to keep and one to share, were placed underneath.